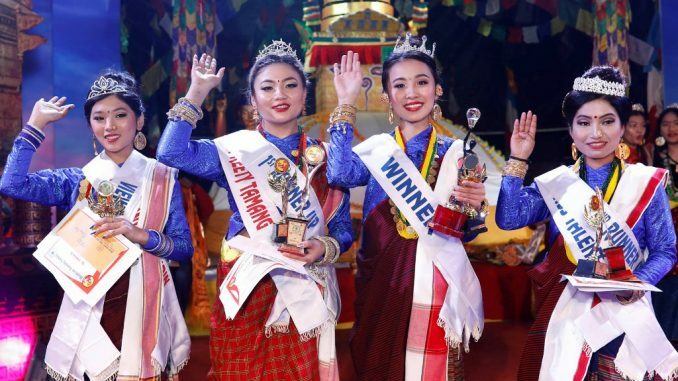 Winner Kushum waves as she became Miss Tamang 2019. Pokhara—Kushum Tamang from Birauta won the title of Miss Tamang 2019 on Saturday in Pokhara. She also got the title of best personality and bagged Rs 50,000 including crown and trophy. 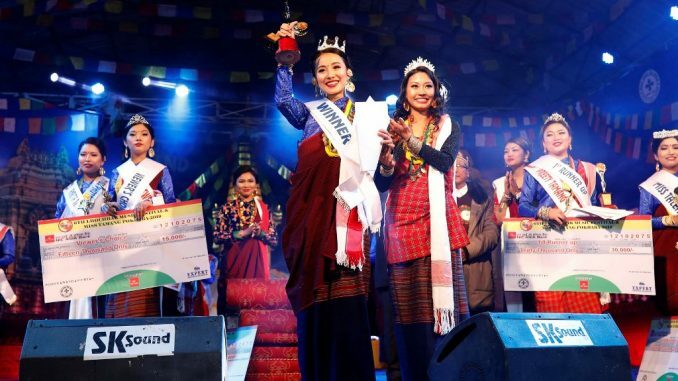 Miss Tamang 2018 Kavita Yonjan crowned Kushum during the concluding ceremony of the competition. Preeti Tamang from Nalako Mukh became first runner up including miss confidence and bagged Rs 30,000. At the same time, Sajana Waiba from Ramechhap became second runner up and received Rs 20,000 cash prize. Both of them got a crown, trophy and certificate. Viewers’ choice Sweta Pakhrin from Lamagaon got Rs 15,000 as she also turned miss popular. A total of 14 participants took part in the competition which was organized by Baidam Tamang Society (BTS) on the occasion of 2855th Sonam Lhosar. Pilot and artiste Bijay Lama, model and choreographer Prashanta Tamrakar, first Miss Pokhara’s runner up Rajani KC, Miss Tamang Nepal Coordinator Ranjita Lama, musician and singer Shyamsung Tamang were in the jury. International Tamang Council Chairman KM Titung was the chief guest of the program where welcome speech was delivered by program coordinator Jayanti Moktan. The collected fund from program is to be supported for a Peace Monastery, informed BTS chairman Jack Tamang.